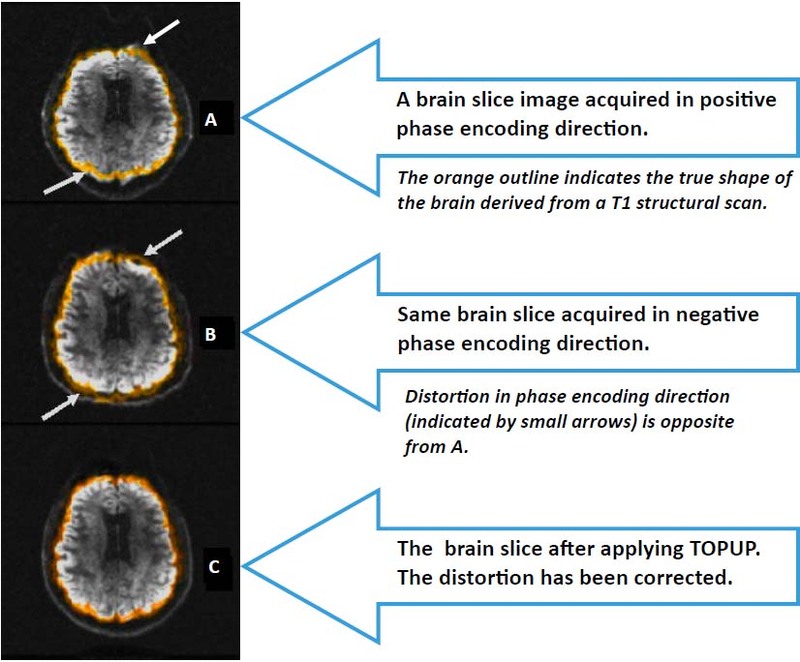 Standard DTI images acquired with echo planar readout are known to have susceptibility-induced geometric distortions. The conventional method for correcting the geometric distortions uses dual echo-time field mapping approaches. In 2003, Anderson et al1 proposed an alternative method in which DTI images acquired in opposing phase encoding directions are used to estimate the field and to correct for distortions. Compared to the conventional method, this alternative method provides more robust and effective performances in correcting distortions. An implementation of this method has recently been made available by FSL via a tool called TOPUP ( http://fsl.fmrib.ox.ac.uk/fsl/fslwiki/topup ). To take advantage of this tool, we have created three DTI protocols on our GE MR750 3T scanners. These three protocols provide different acquisition setups to support a range of research needs, and all three protocols acquire images in two opposite phase encoding directions. We also provide a C-Shell script “processtopup” for processing the data acquired with the above protocols. 1 J.L.R. Andersson, S. Skare, J. Ashburner How to correct susceptibility distortions in spin-echo echo-planar images: application to diffusion tensor imaging. NeuroImage, 20(2):870-888, 2003.